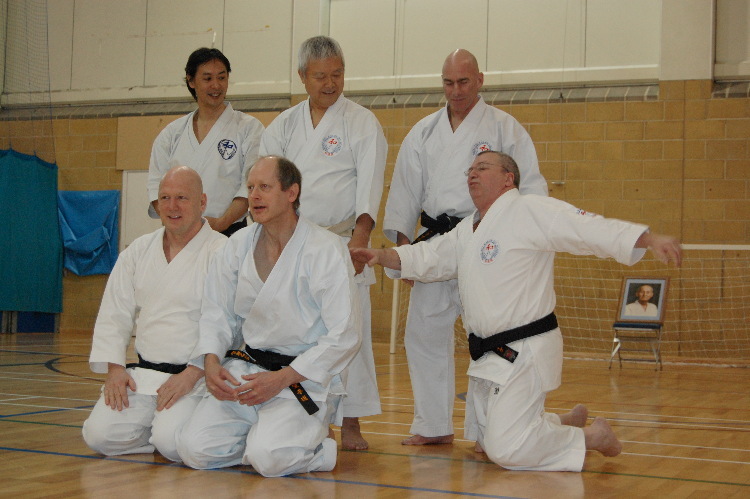 I am sure you will all join us in expressing our sympathies and condolences to the people of Japan in the wake of the recent earthquake and tsunami. 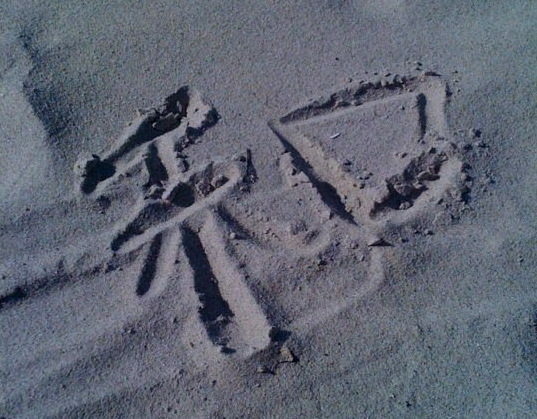 This was written in the sand on the beautiful south coast of England just yards away from the sea. 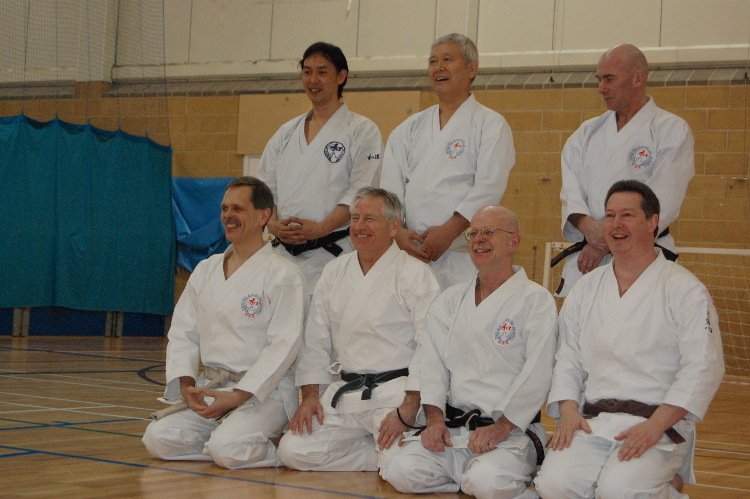 It was a lovely day with the sun shining, clear blue skies and only a gentle breeze for a surprise autumnal day. 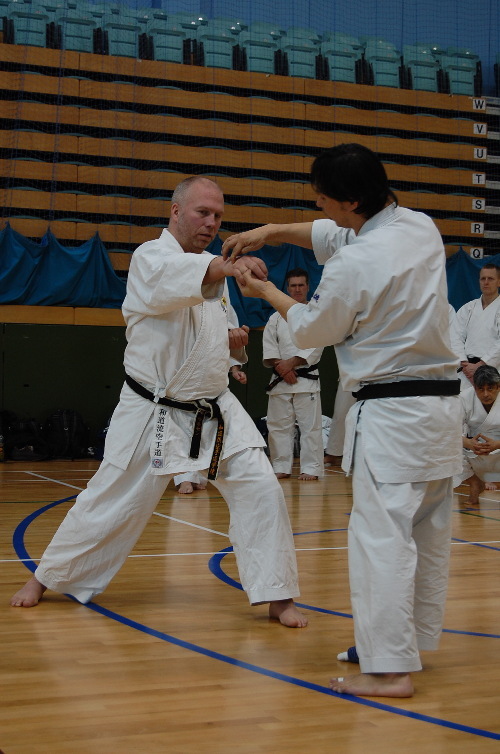 It is hard to marry the sense of peace and harmony of that setting with the devastating power that the same Nature can also bring. 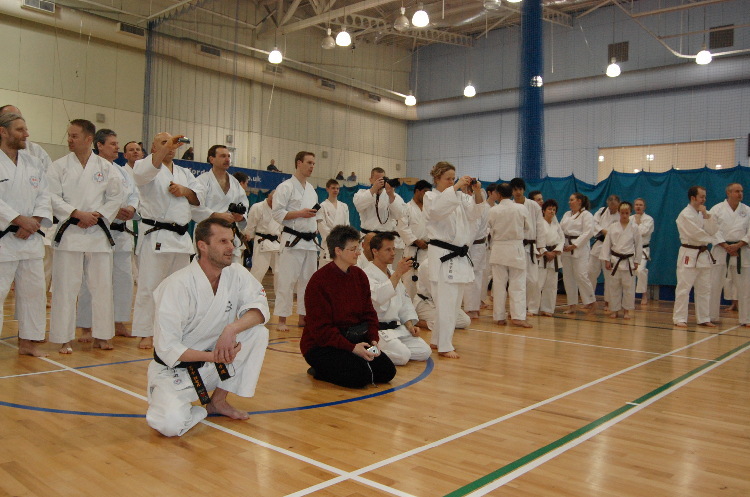 Please consider donating to the Red Cross appeal. 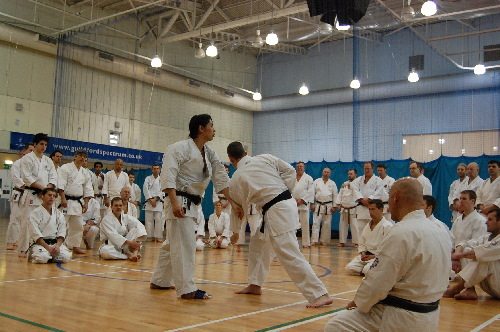 Tired and aching bodies filled the hall. 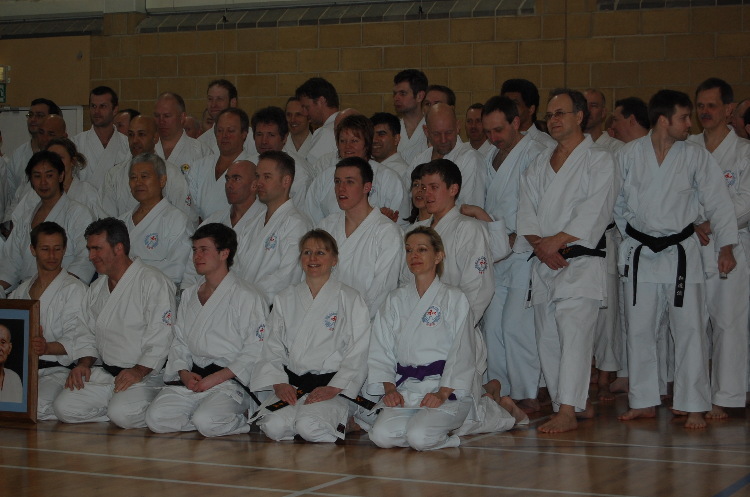 I think people welcomed back mokuso as it gave everyone a chance to relax and focus on the last day of training. 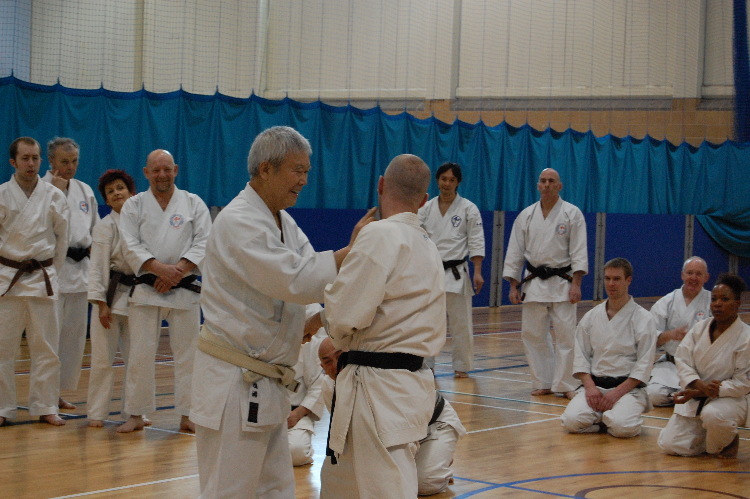 Sensei took the warm up and moved us onto kihon, building up the pace to ensure everyone would be warm. 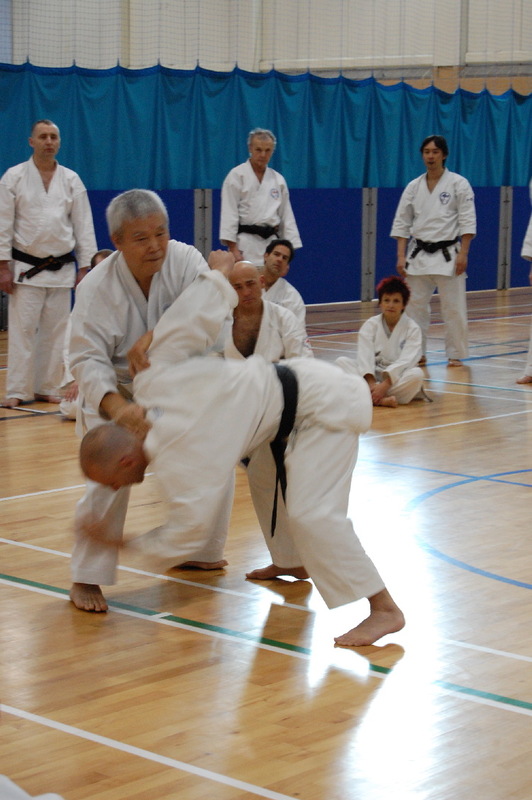 We practiced a variety of pairworks. 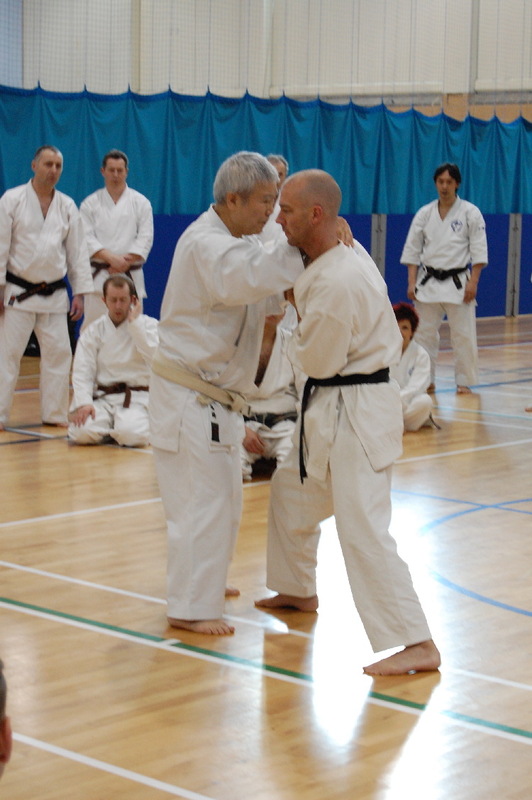 Sensei smiled and laughed all the way through making it look simple, even more so when applying a bit of pain, highlighting the finer details of how to make it work. 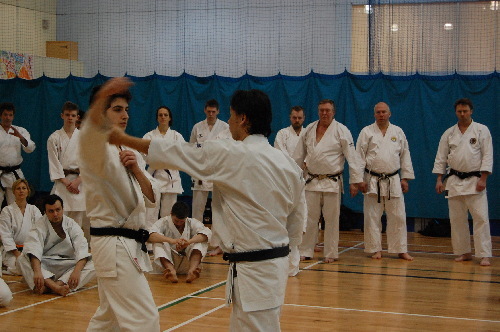 Unfortunately it will take us much longer. 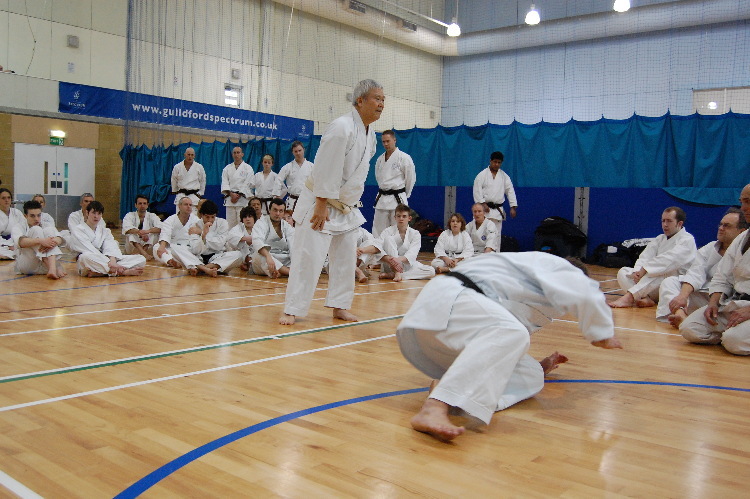 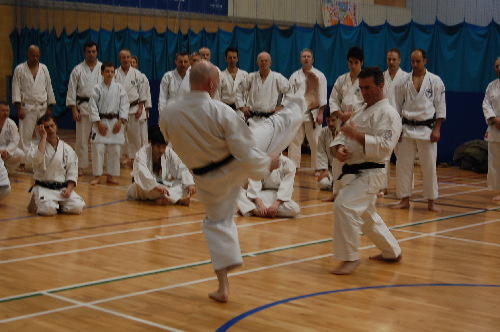 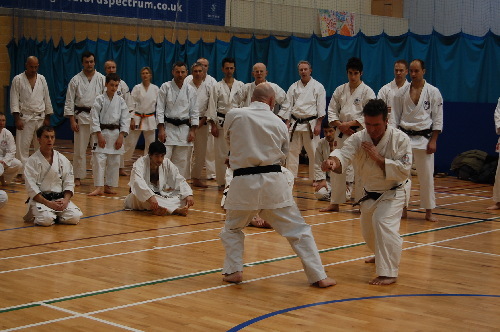 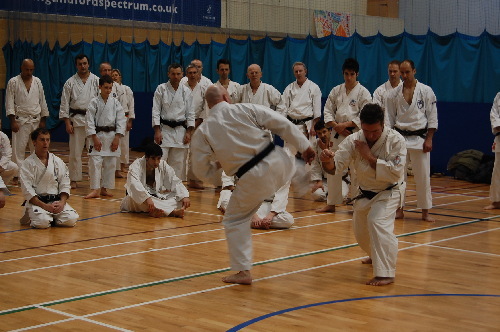 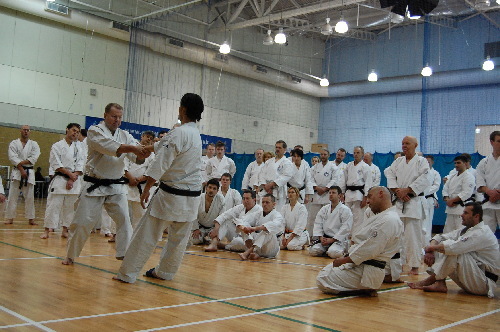 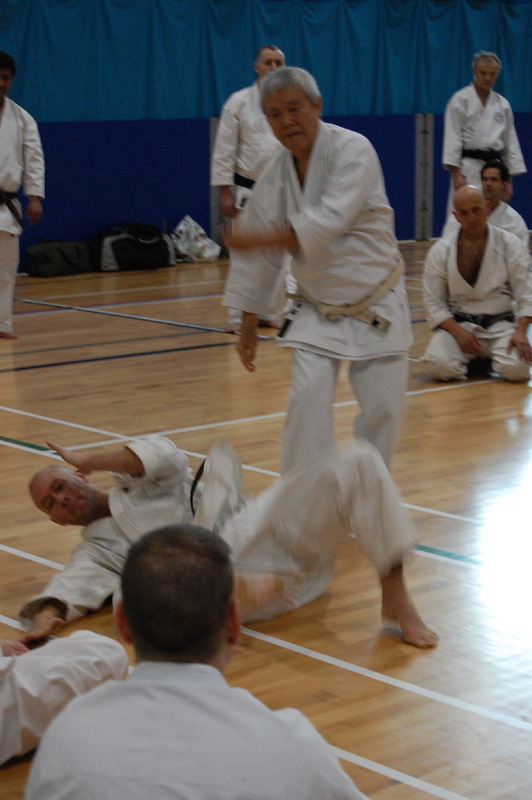 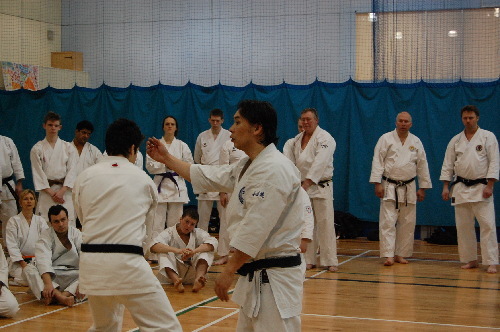 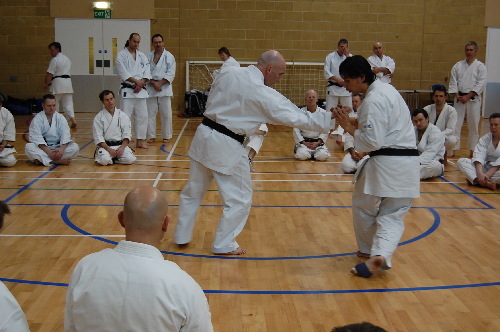 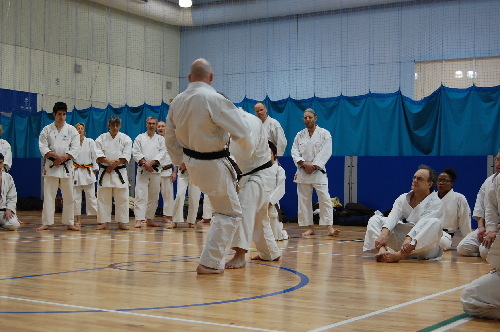 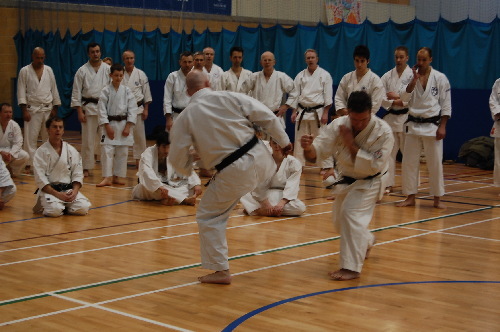 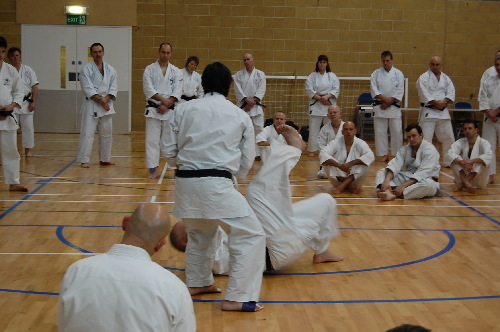 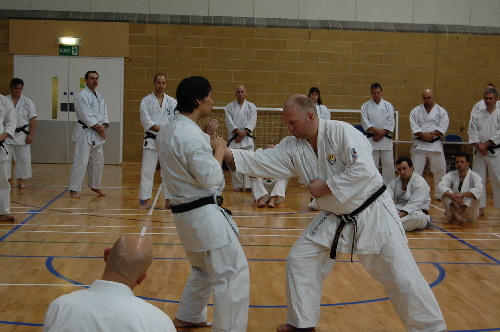 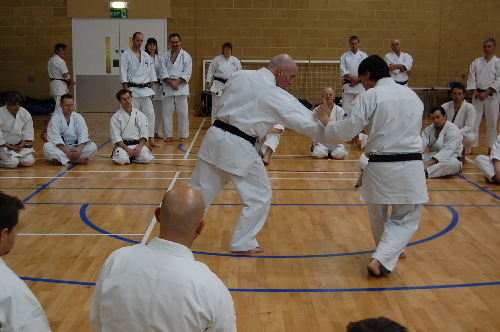 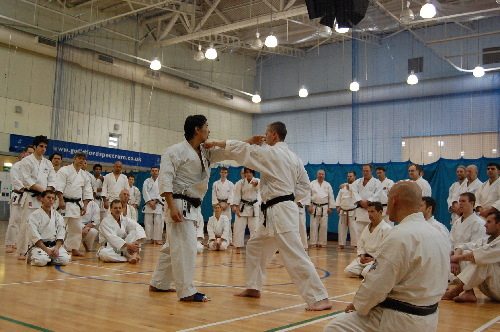 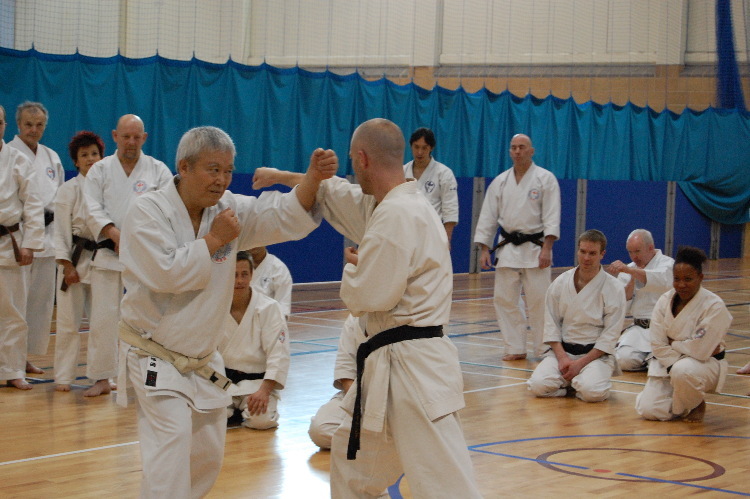 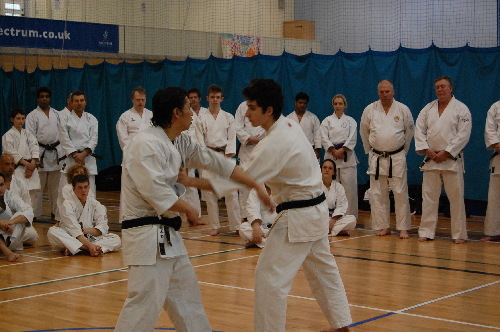 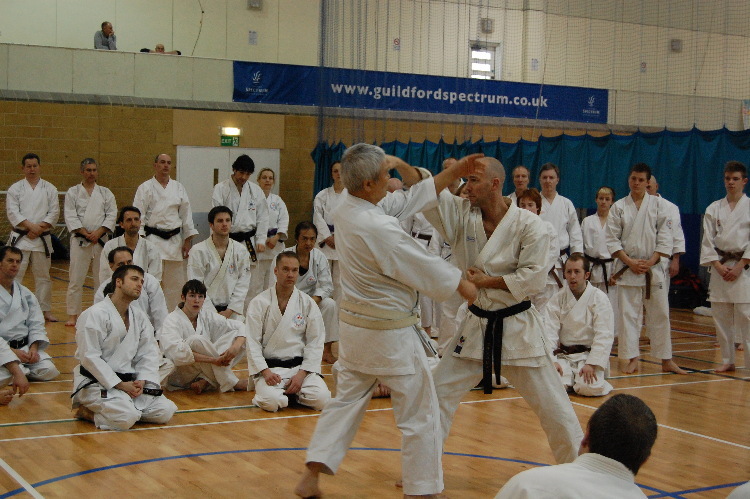 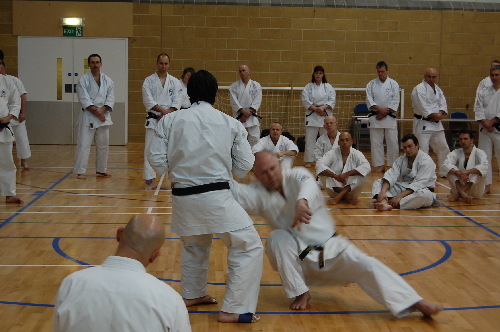 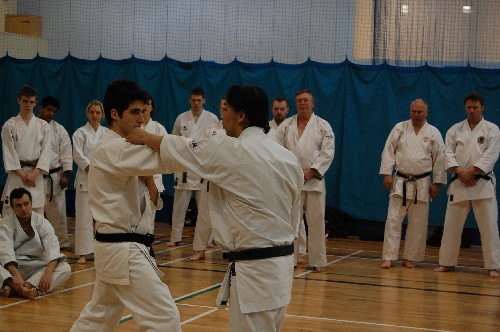 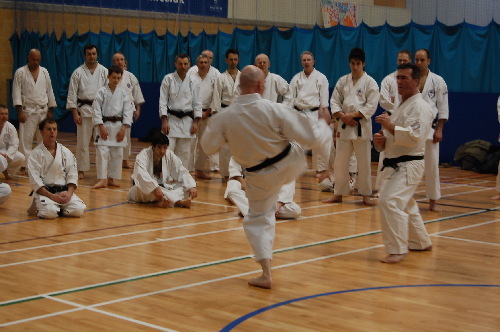 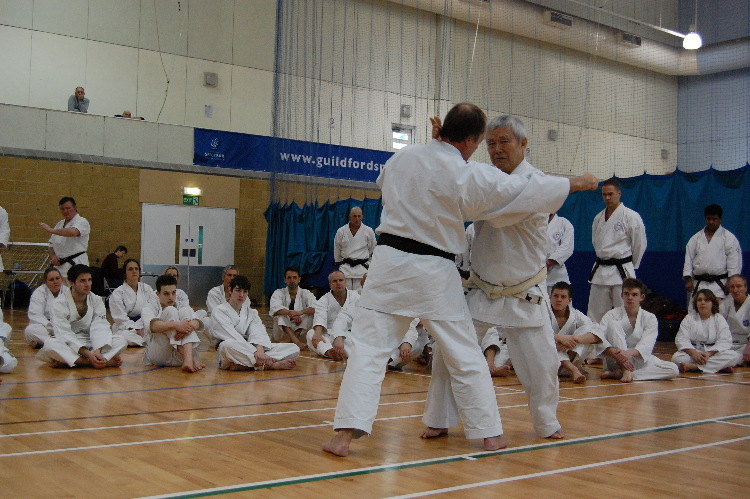 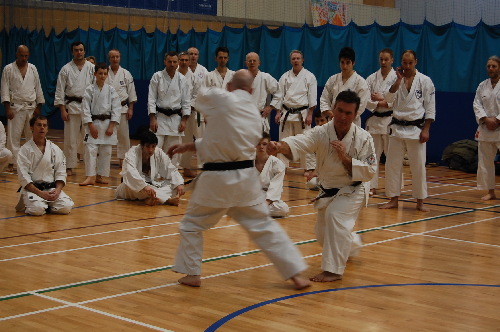 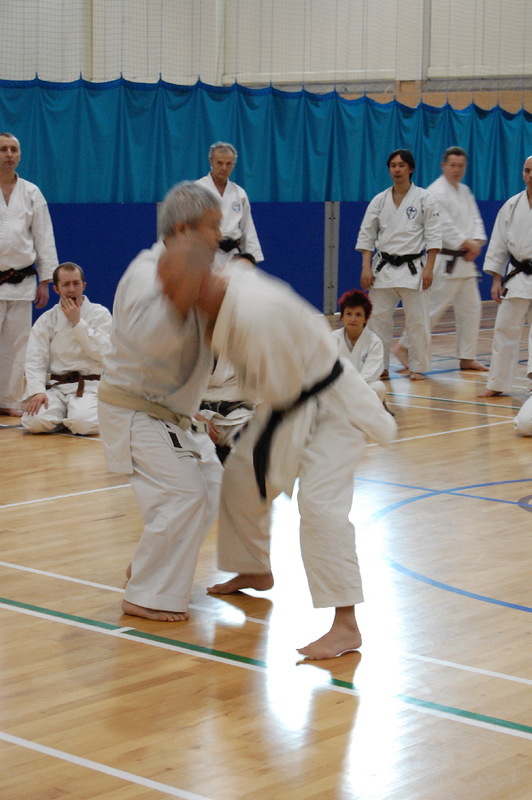 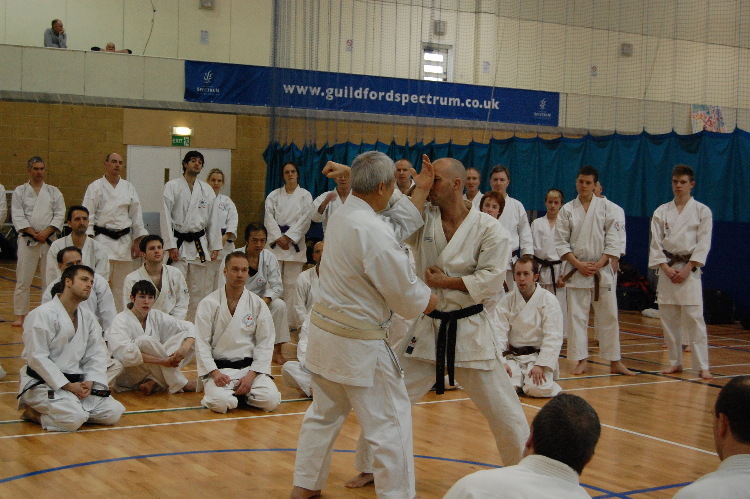 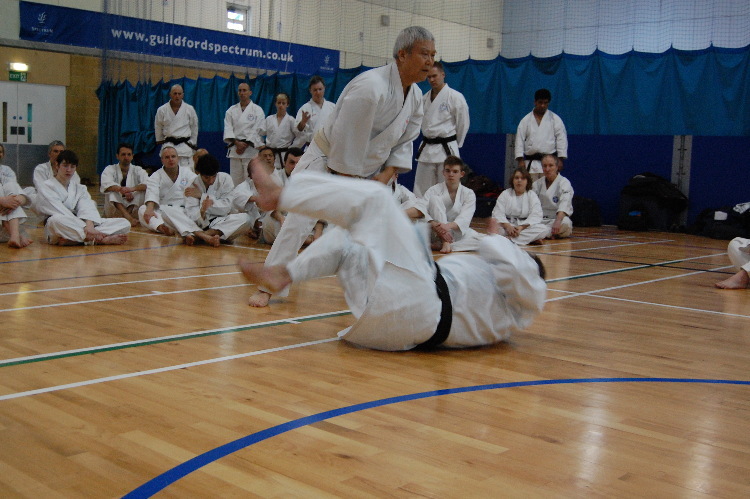 After the shortest ever mokuso of not even one second, which brought a big laugh from Sensei, Kazutaka Ohtsuka took the first session on how to make dynamic movement and to control the distance between your opponent. 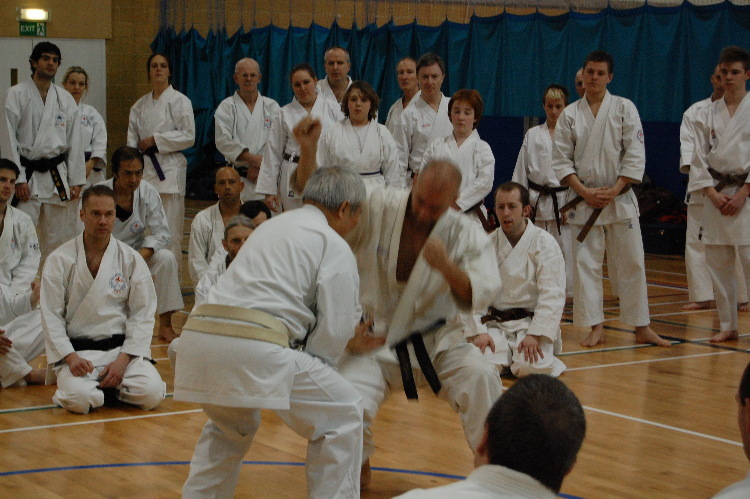 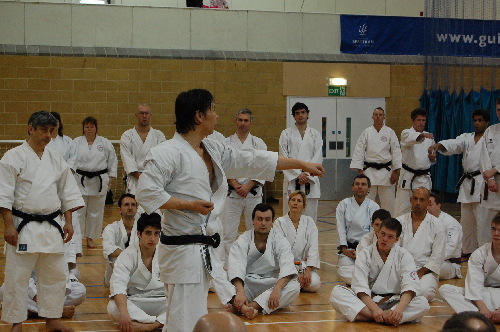 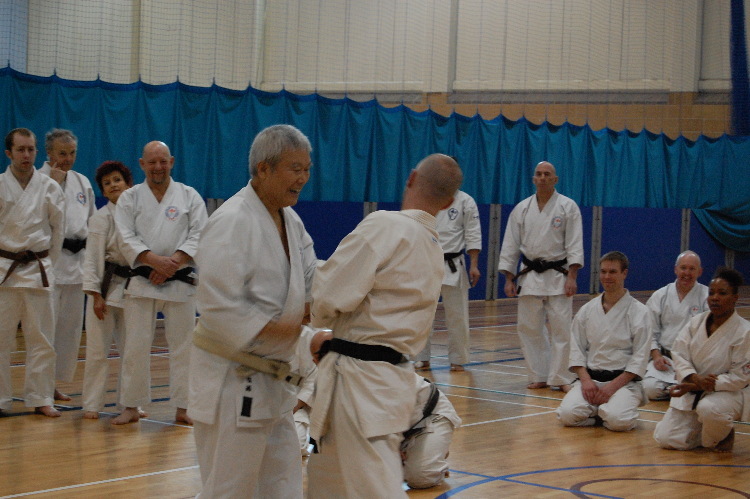 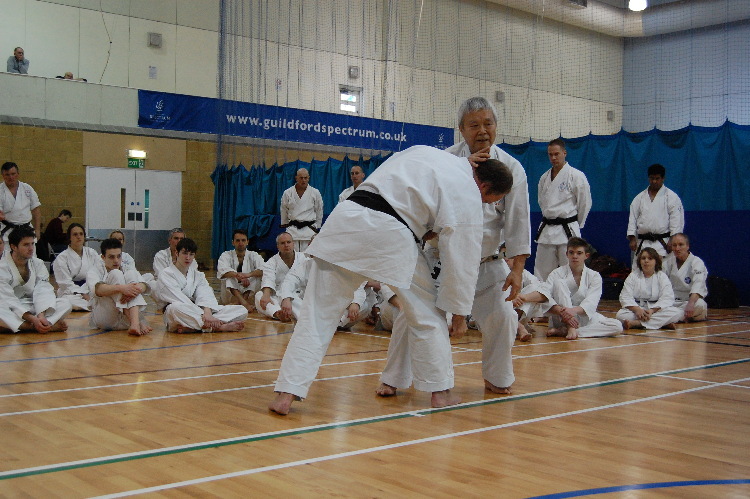 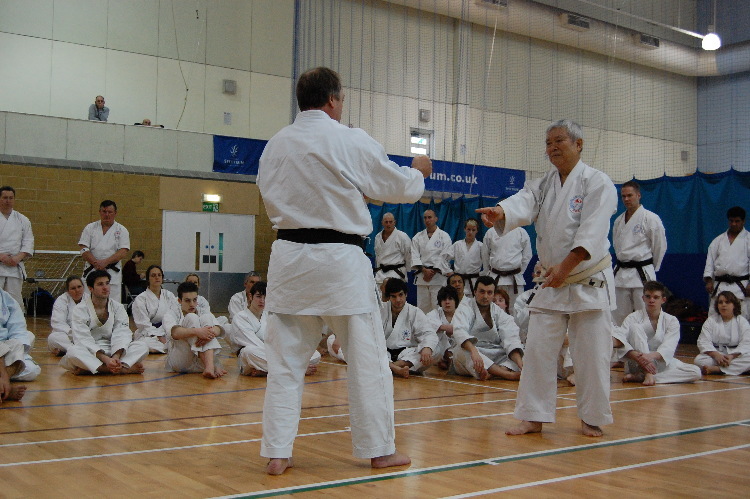 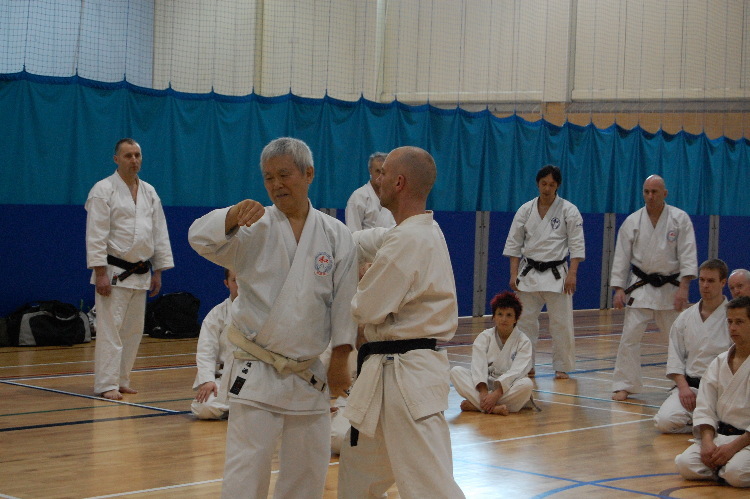 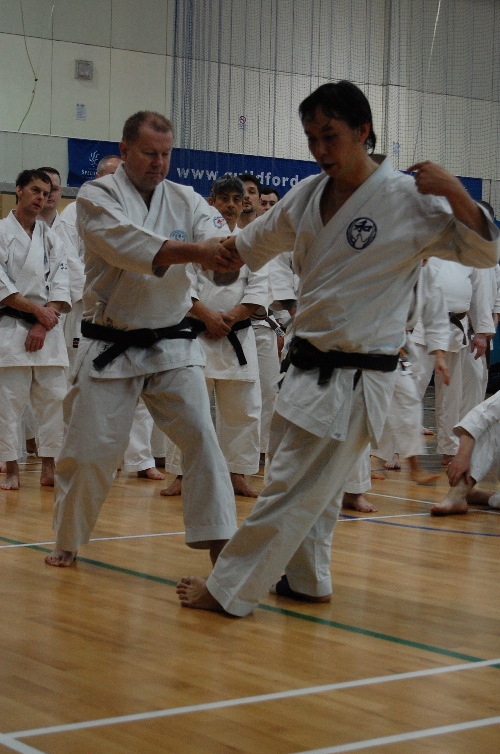 Shiomitsu Sensei then took part of the class through all the fine details of kushanku. 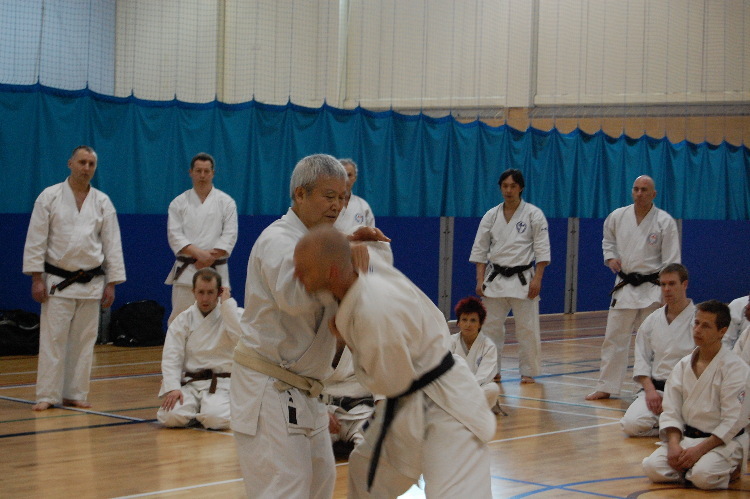 Sensei didn’t seem happy with how low we didn’t go with gyakuzuki no tsukomi. 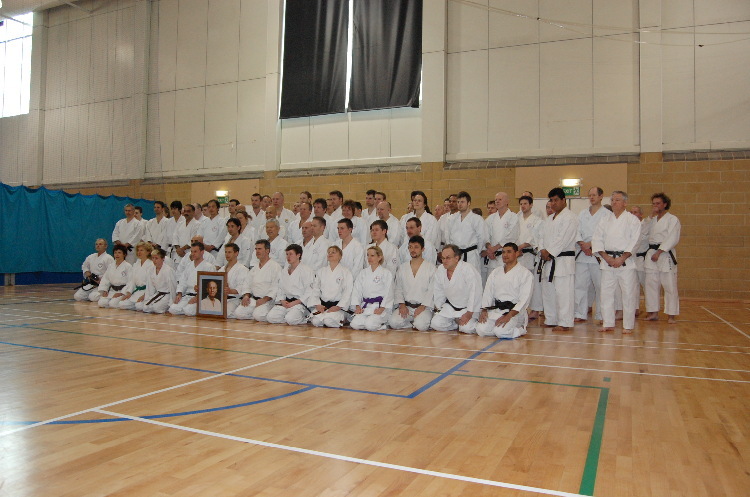 I think we got the message! 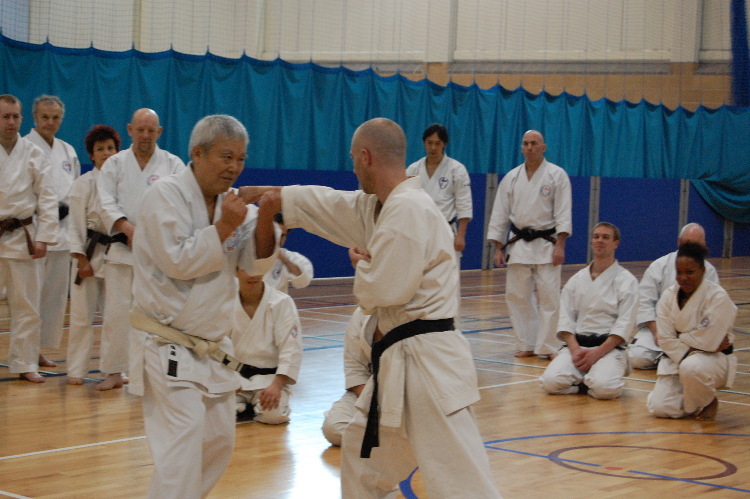 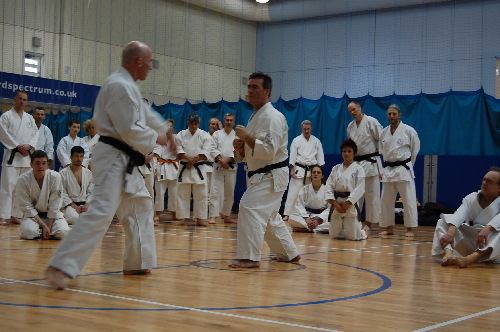 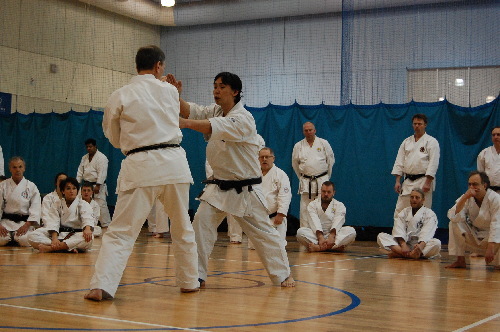 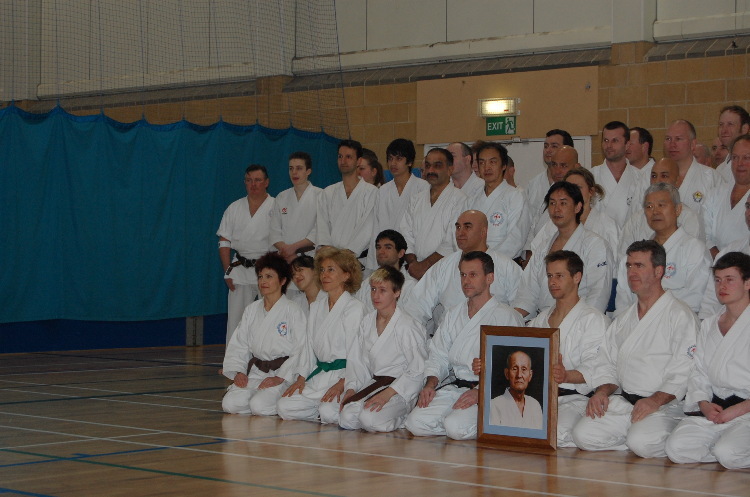 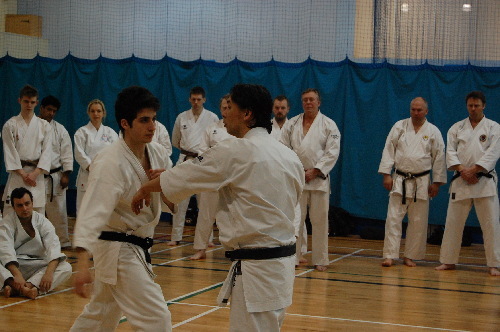 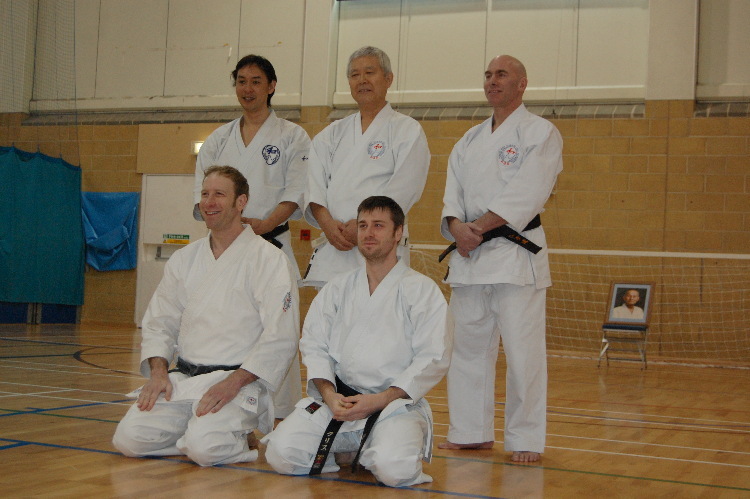 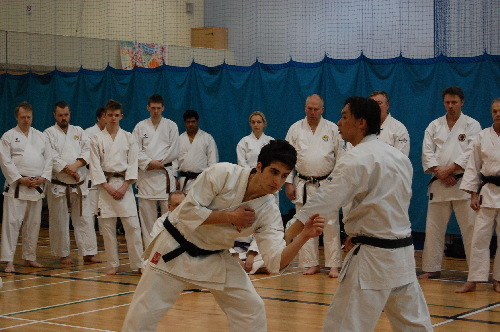 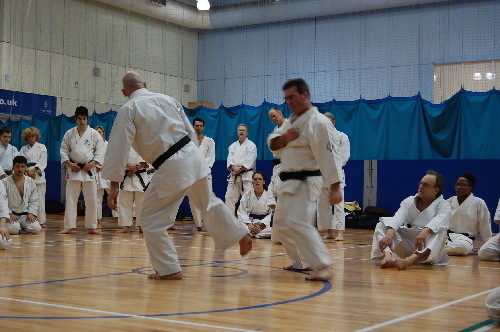 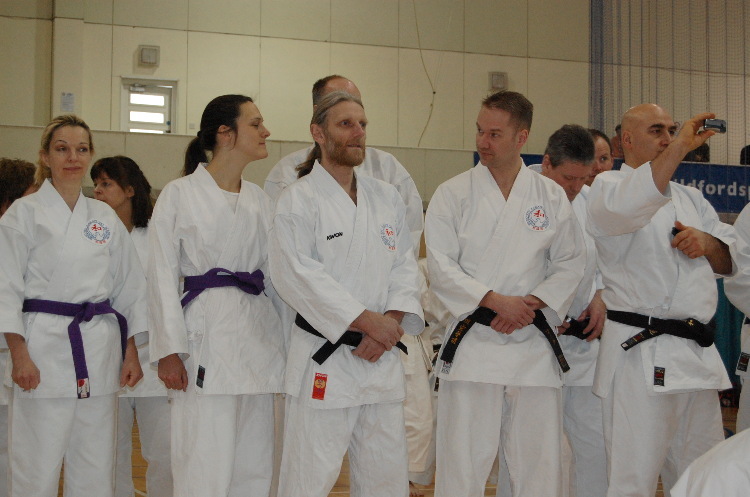 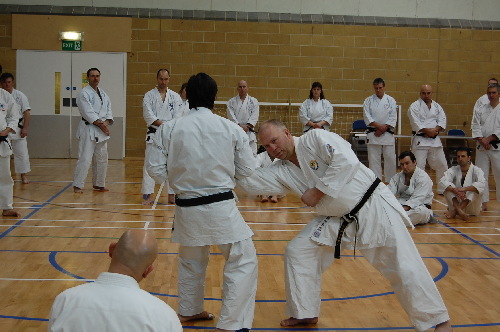 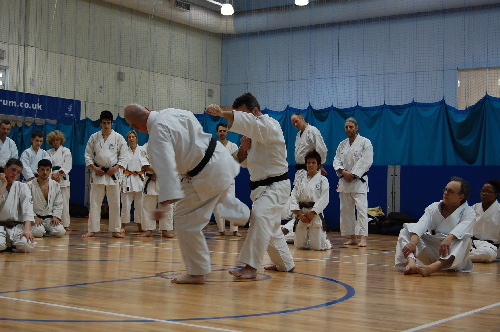 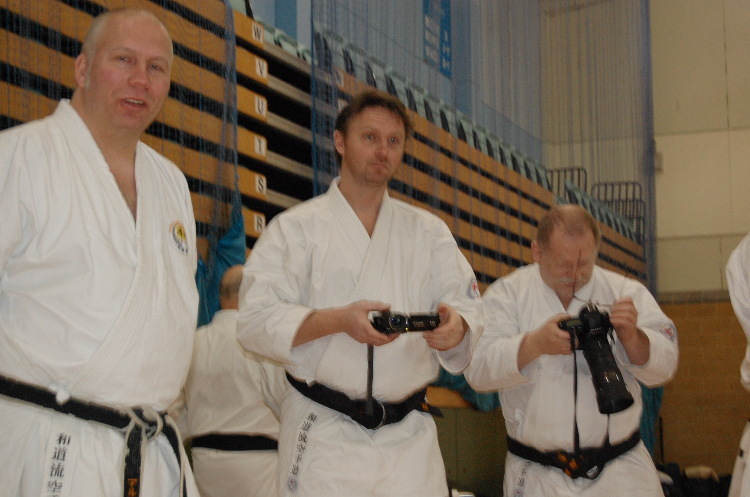 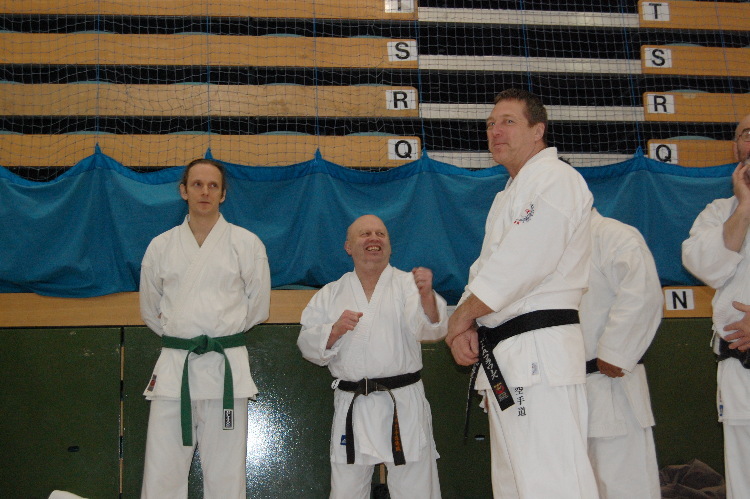 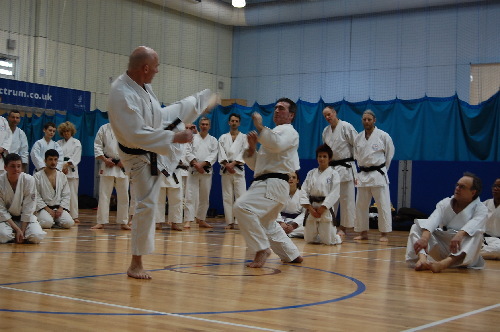 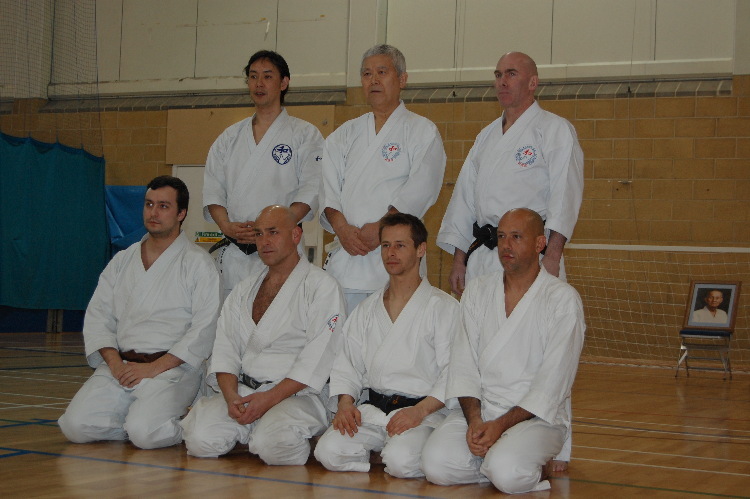 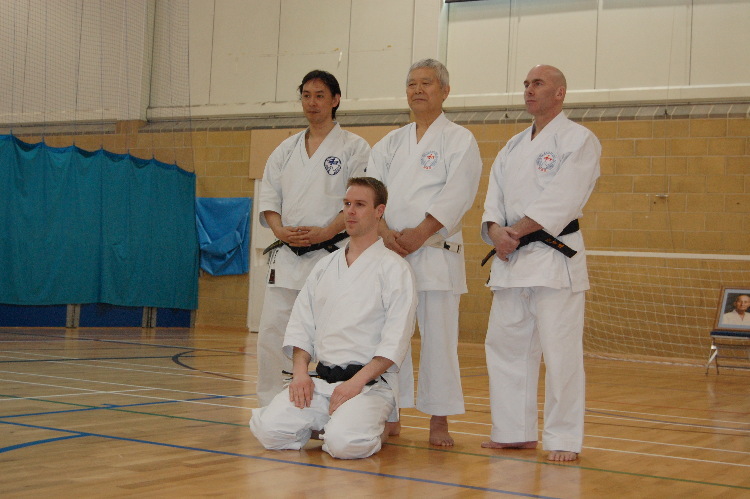 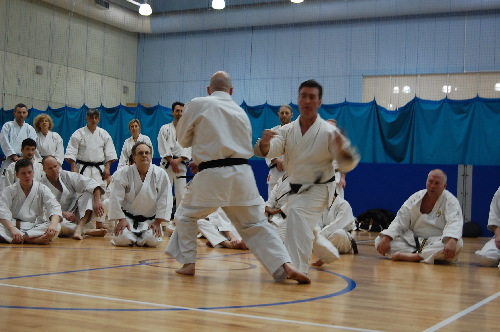 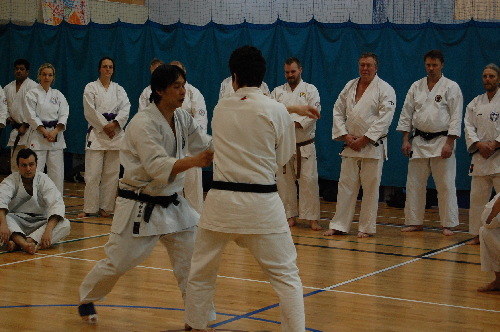 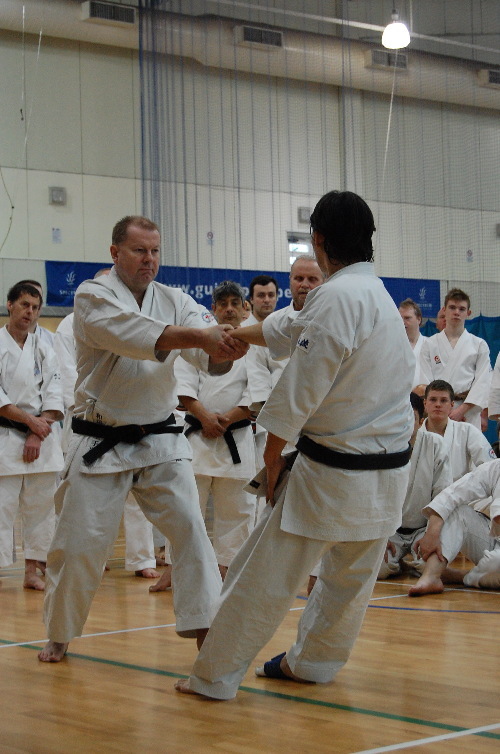 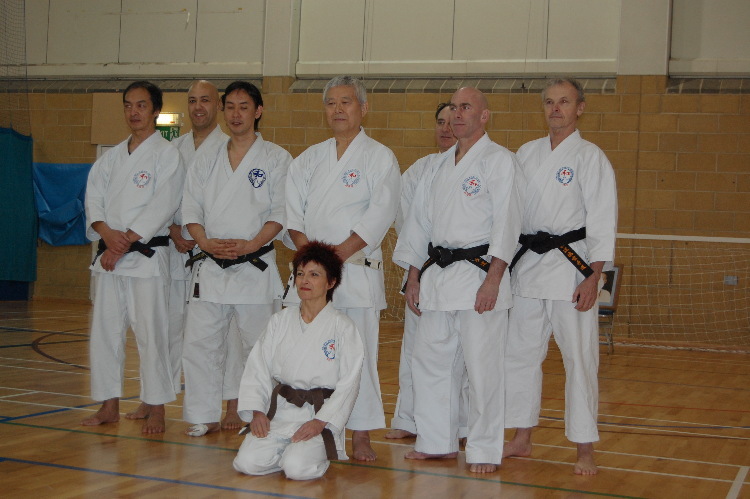 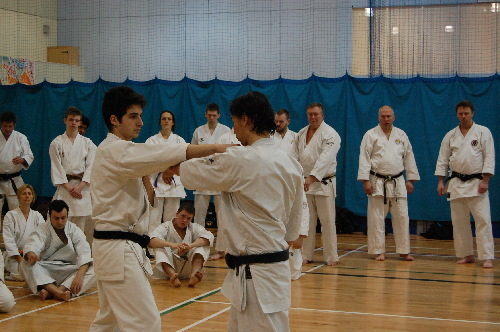 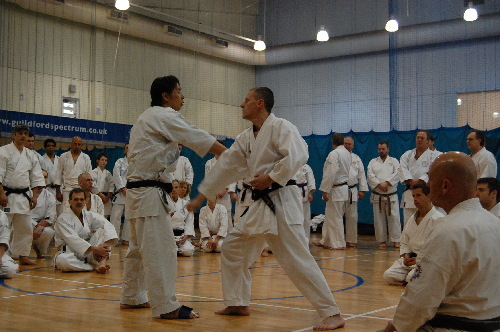 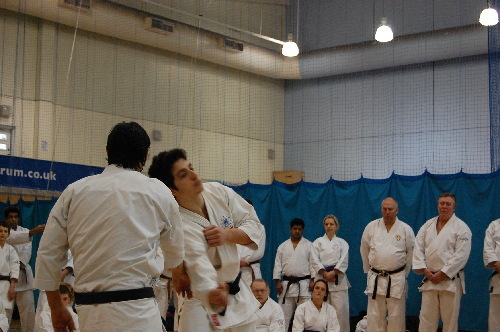 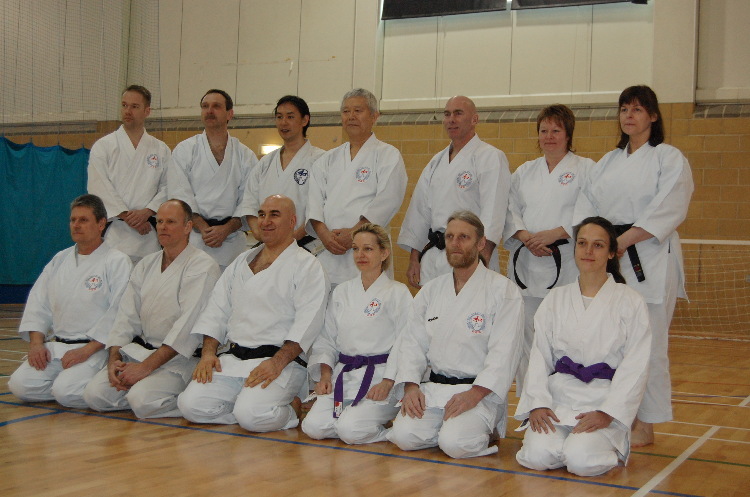 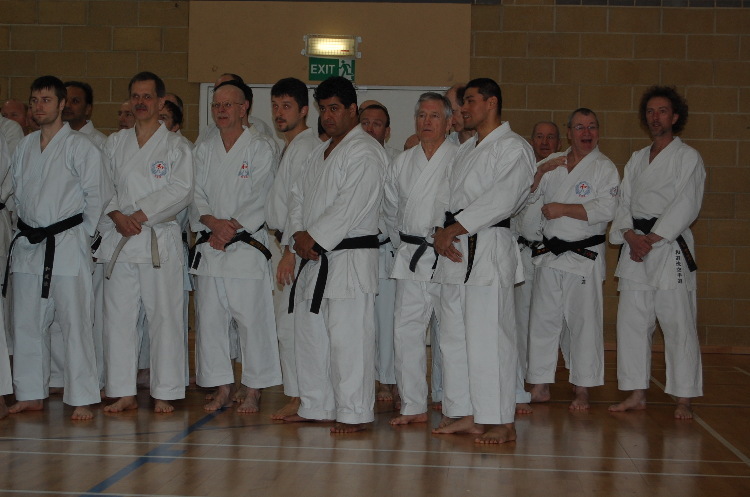 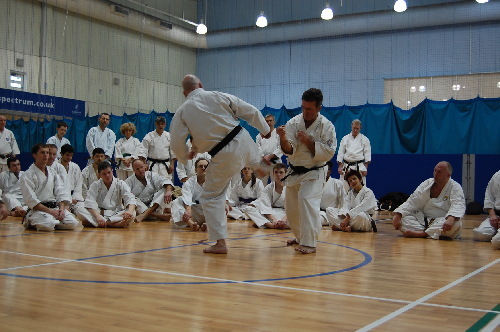 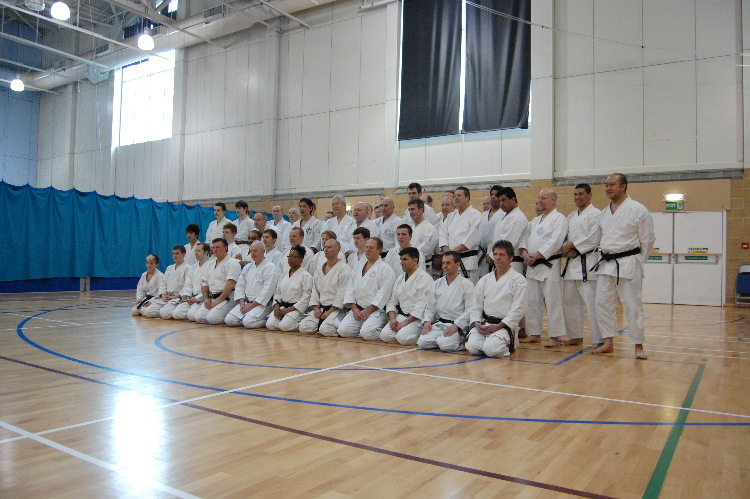 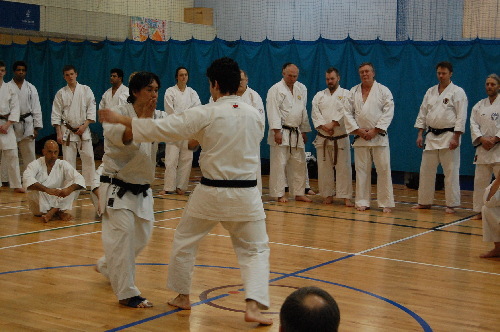 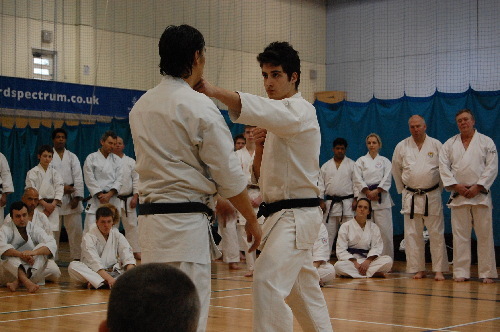 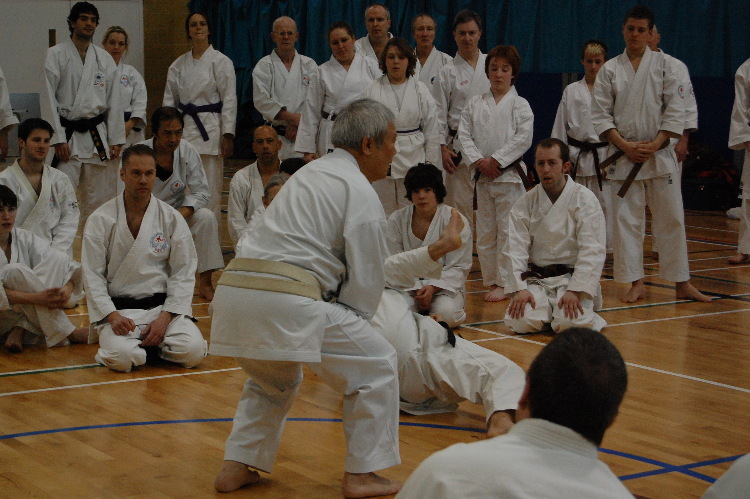 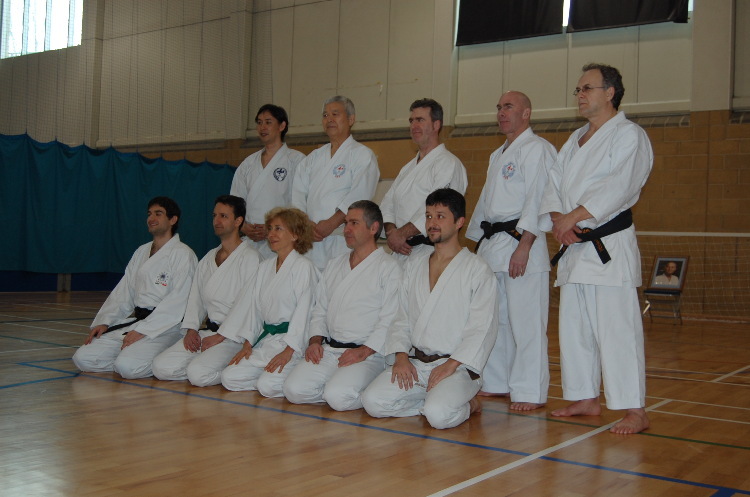 The dan grading candidates got more valuable attention under sensei’s eye. 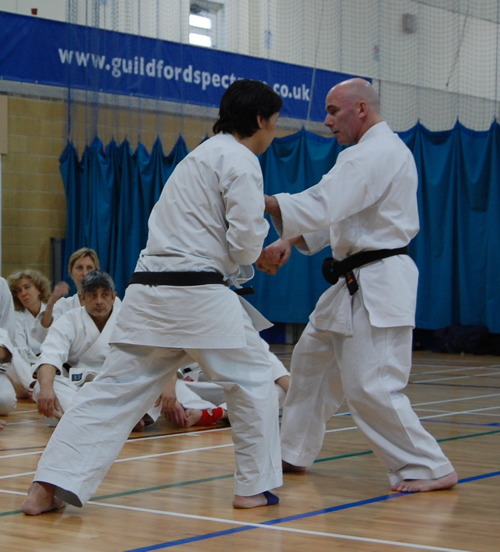 Our basics and the grading combinations were further drilled by Arthur Meek and then Kuzutaka Ohtsuka worked on elements of kuzushi and moving onto kote gaeshi. 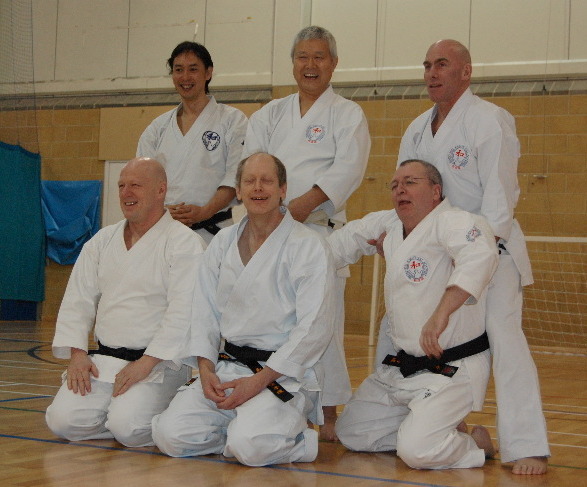 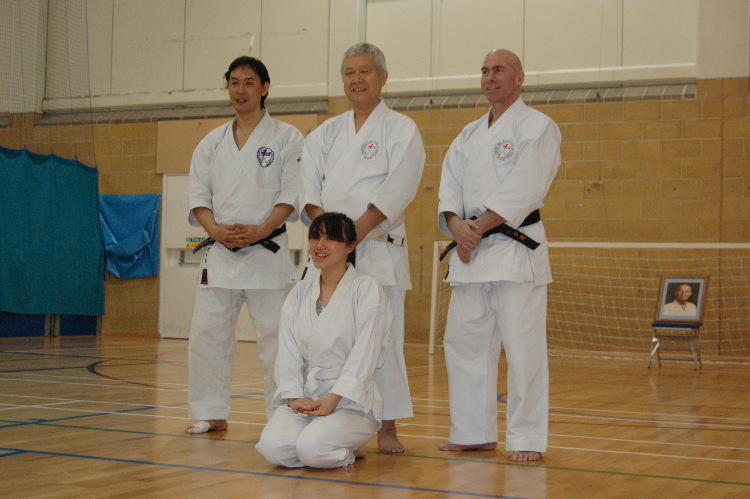 Ohtsuka Kazutaka and Arthur Meek took the general classes today. 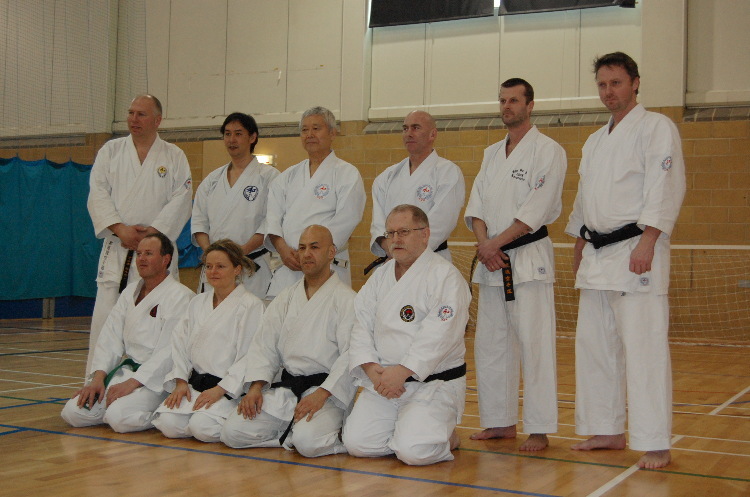 We have just completed the first day. 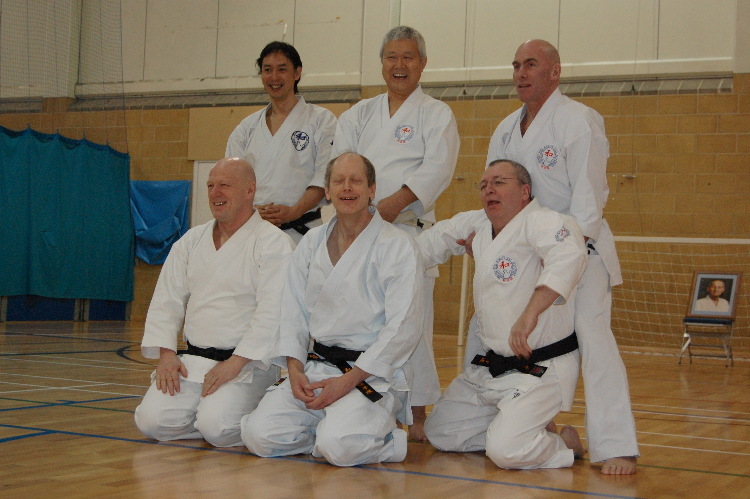 It is really nice to see friends laughing and enjoying time together. 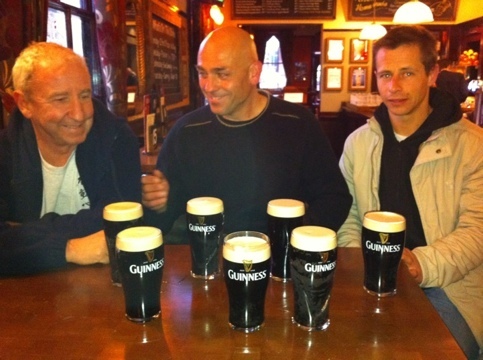 The usual meeting place is The Stoke Pub on Stoke Road. 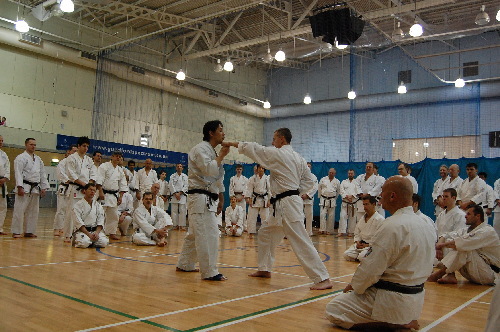 There is a high probability that you will find other people from the course there towards the latter part of the evening. 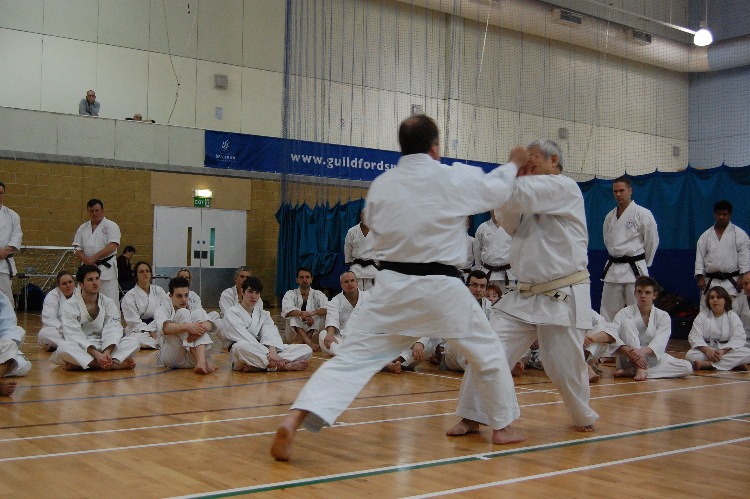 Hope to see more of you over the weekend.